Here's a look at some of the projects our OKCMQG members have completed this month. If you have a project you finished in the month of January, don't forget to link up and Flaunt Your Finish! 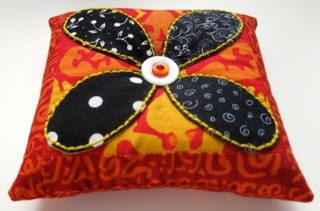 As a guild, we are participating in a Pincushion Swap at QuiltCon. Elizabeth always seems to be on the ball and she's already completed her pincushion. It measures about 5.5" square and is filled with crushed walnut shells. 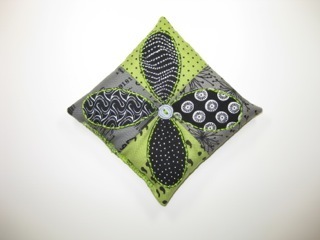 Elizabeth gave this green version (below) away on her blog, Pieceful Life. She wondered if she was in a rut since they are alike, but I think it's fun to see the same item made up different ways. I'm so far behind that I missed seeing the giveaway on her blog. I totally would have entered. TIP: When making several pincushions, check your local pet store for crushed walnut shells! Several guild members are also participating in a Madrona Road Challenge. 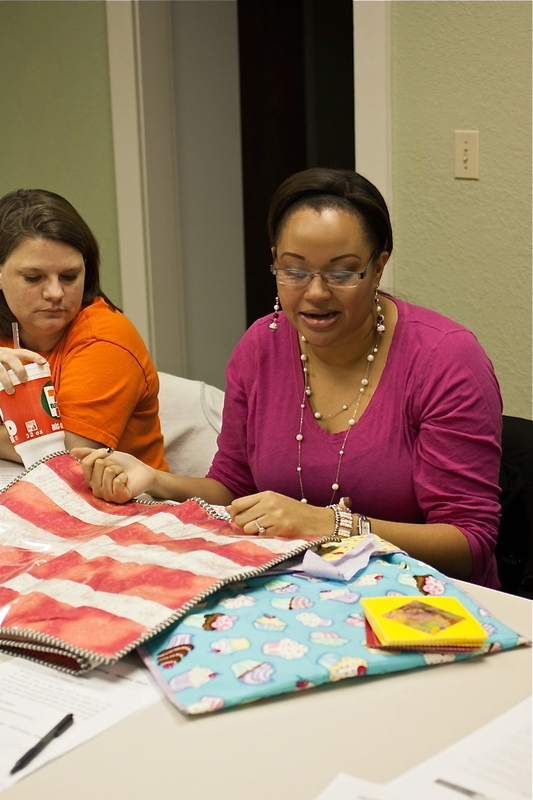 Those participating decided to make mini-quilts from the fabric they were given. Here's Stephanie's mini, which is completely adorable! Also by Stephanie, is this Union Jack made from hexies. Remember, all those hexies were sewn together by hand. They are pretty small and there must be a gazillion of them! Amazing! 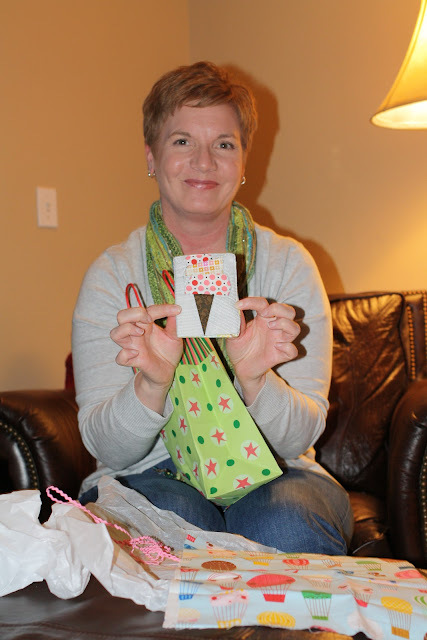 Next up is Christi's quilt. 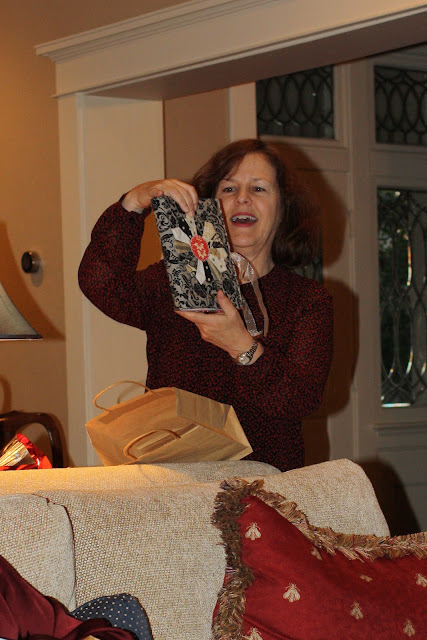 She used the Gypsy Girl fabric line by Lily Ashbury for Moda Fabrics. 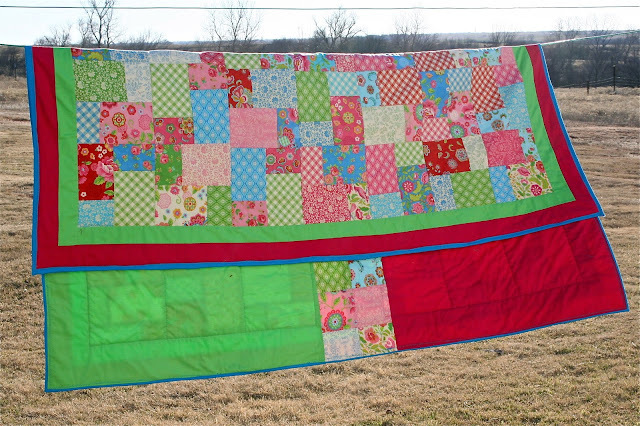 I love photos of quilts hanging on a line. 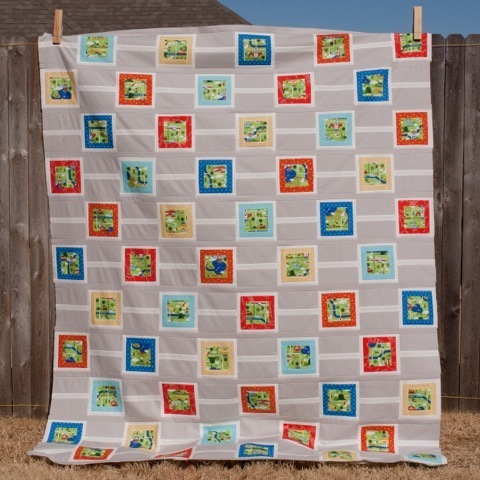 The fabrics and colors in this quilt make me want to go on a picnic in the park. 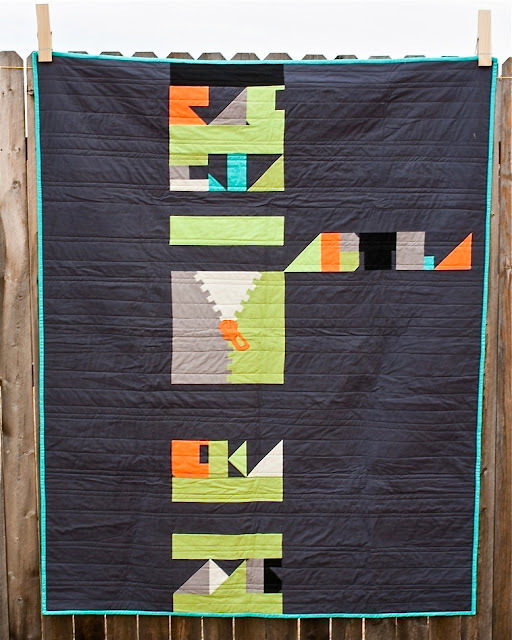 But until Spring, here's another beautiful quilt by Christi to snuggle up in. The fabrics in this quilt are California Girl by Fig Tree, also for Moda Fabrics....yep, we quilters love our Moda. Okay, so technically this doesn't count as a "finish", but I felt sorry for old Amanda. 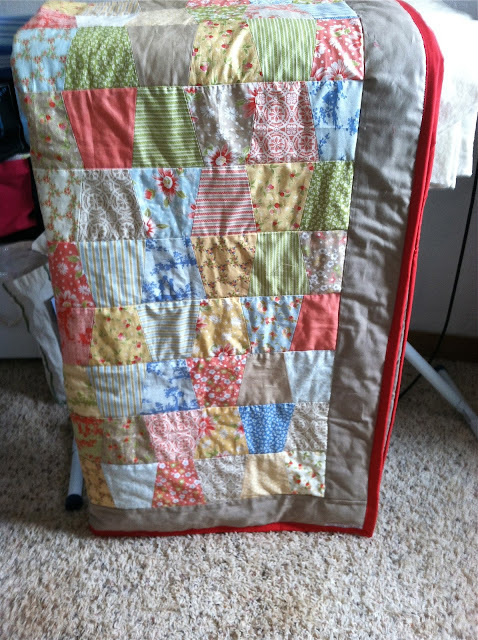 She began collecting fabrics for this quilt (twin-size for her son) about 2.5 years ago and she's been slowly working on it over the last year. She has a few ideas, but is still trying to decide how she's going to quilt it. 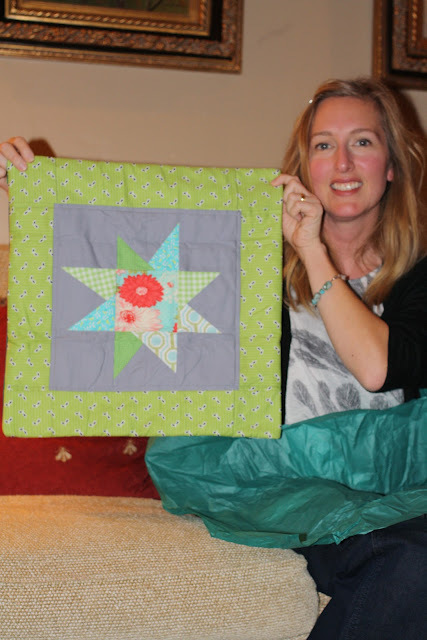 She used the pattern "Chain Reaction" from Cluck Cluck Sew. It is seriously cute and I know her son is going to love it! Link up and share your finish! The destruction left in the wake of Hurricane Sandy was terrible. So when Amanda contacted me about making a quilt to benefit the people affected by the storm, I jumped at the chance to help. 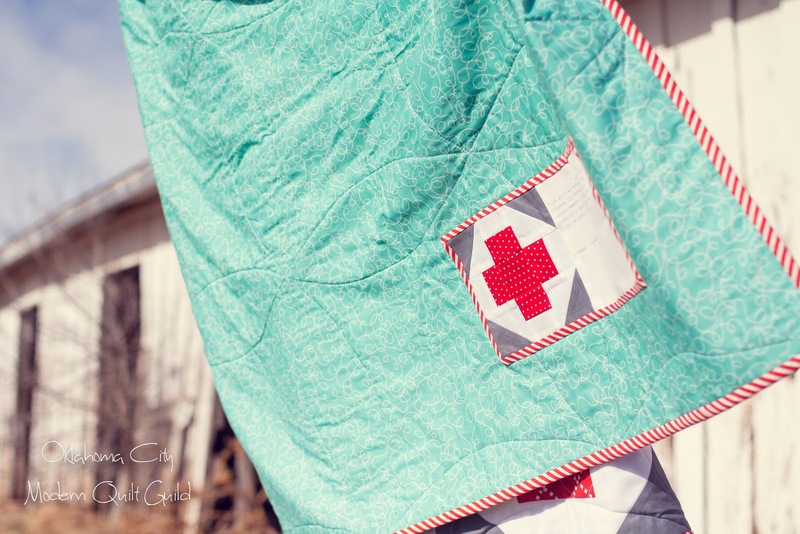 I immediately had an idea to make a Red Cross inspired quilt using the Greek Cross block. I sketched it up and Amanda approved. 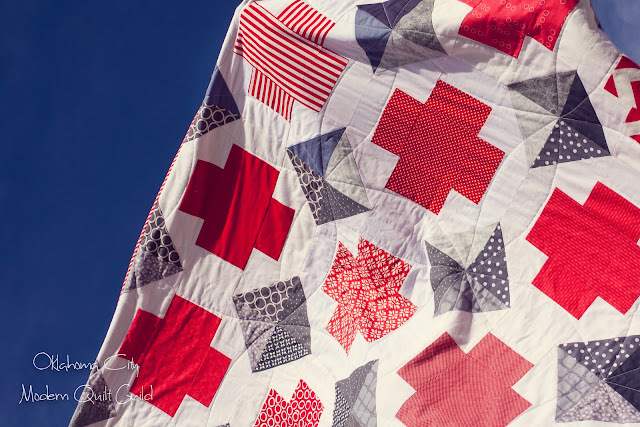 I asked for volunteers from the Guild and from flickr to make blocks in red, grey, and white fabrics from their stash, using the tutorial at Fresh Lemon Quilts. I worked on piecing those blocks for a couple of weeks, then contacted a couple of online quilt shops to see if anyone would be willing to donate extra wide quilt backing so that we didn't have to worry about also piecing the back. Kimberly at the Fat Quarter Shop came through and had that backing to me in a matter of days! She was awesome! 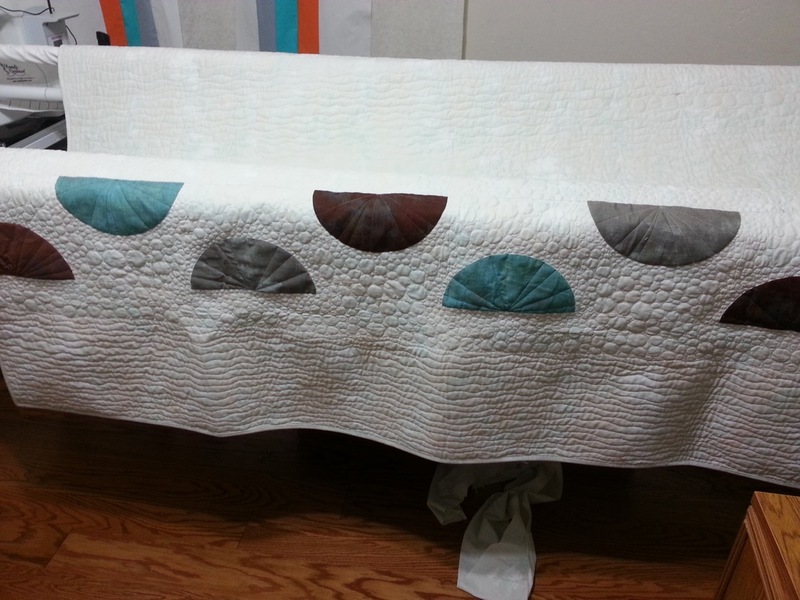 I passed the quilt top and backing off to Amanda and she set to work basting and quilting it. 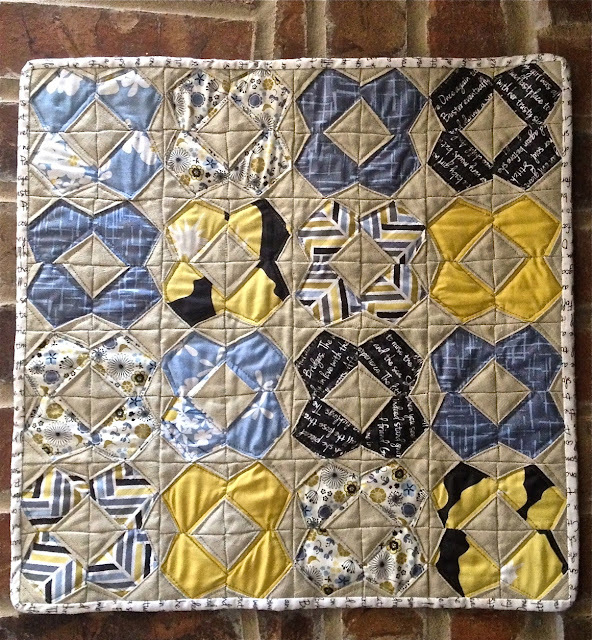 She chose a lovely, curvy pattern that reminds me of the shape of double wedding ring quilts and sets off the pattern of the blocks beautifully. Agnes very kindly offered to bind the quilt and add the label. Then it was back to Amanda so she could photograph the finished quilt. And here it is! 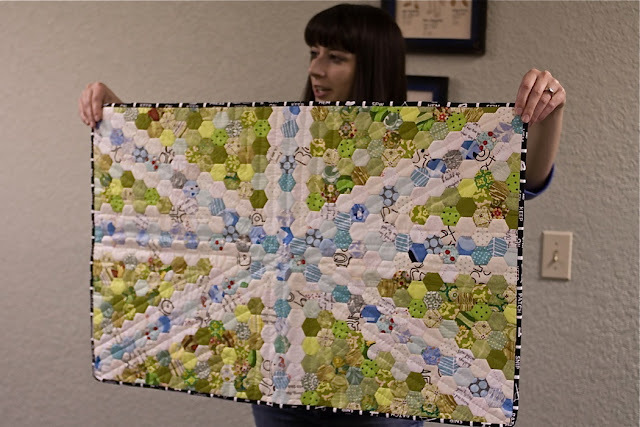 Now that you've seen the quilt, I KNOW you are wondering how you can have it for your very own. I will explain shortly, but first, a little back story. Originally, we had intended for all proceeds to go to the Red Cross to benefit Hurricane Sandy survivors. However, it has taken a little longer than intended to finish this quilt, so you now have two options. The Red Cross is a first responder, kind of like a paramedic on the scene, but they aren't able to stay for the months and years that it can take to recover from a disaster. So other organizations move in to help for the long haul, like doctors and physical therapists after an accident. Both are extremely critical needs in times of crisis. So, what does this have to do with the quilt? Well, in order to win it, you have two donation options. You can donate to the Red Cross, who was a big help in helping people that lost their homes or had to evacuate get shelter and necessary supplies, or you can donate to the Empire State Relief Fund, which is helping to fill the gap until federal funding for rebuilding is made available to the northeast. The Red Cross will use the money to assist future victims of disasters, and the Empire State Relief Fund is helping people affected by Hurricane Sandy rebuild. You choose! They will both appreciate your help. 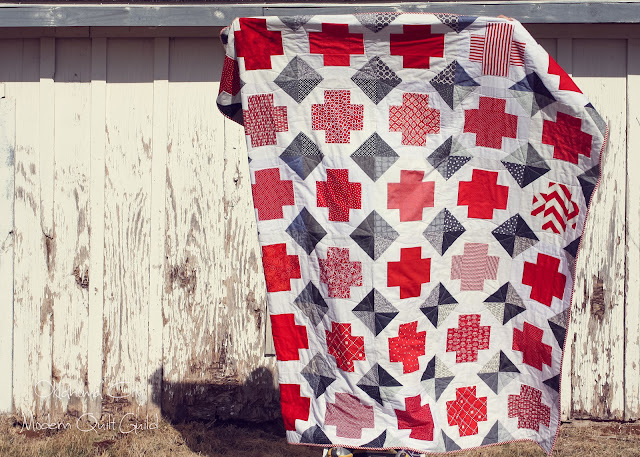 For every $10 donated to either organization, you get one entry into a drawing for this quilt. For every $50 donated you will receive 6 entries into a drawing for this quilt. Please e-mail us the receipts for your donations to okcmqg@gmail.com. This will allow us to create the correct number of entries for you as well as ensure that an actual donation was made. We promise that your privacy is of the upmost importance to us. 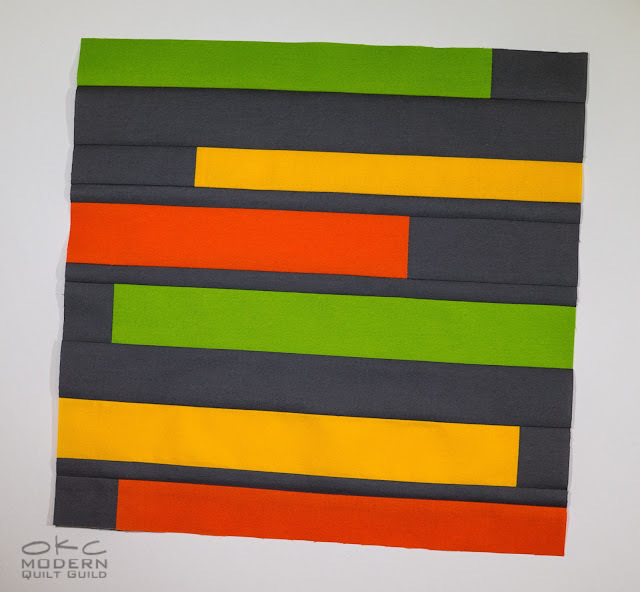 Receipts for donations must be emailed to the OKC Modern Quilt Guild no later than midnight (Central Standard Time) February 13th. A winner will be drawn and announced on February 14, 2013. We will be sure to announce the winner on our blog and facebook page. We will also e-mail the winner to get in touch with them about shipping the quilt. Thank you in advance for your contributions to these organizations and helping those in need. The quilt measures 72" square, is made with 100% cotton fabrics and 100% cotton quilt batting. For every $10 donated you receive one entry. For every $50 donated you receive 6 entries into the drawing. Please e-mail the receipt for your donation to us at okcmqg@gmail.com. 2013 is off to a busy start! We had our first meeting of 2013 this week and it was jam-packed with information, ideas and projects. Our new meeting place is great! The Neighborhood Alliance on the corner of Classen Blvd. & 36th Street in OKC is a great little building and we're happy to be able to meet there EVERY month. Please mark the second Monday of EVERY month as Guild Meeting Day on your calendar and plan accordingly. (Meaning...don't you dare schedule anything else on that day!) Our guild is growing and we love seeing everyone there! After much discussion and a vote, the by-laws have been amended to make January 31st of each year the deadline for annual guild dues. Additionally, if you are a member of our private Facebook group, if you have not paid your dues by January 31st, you will have 2 weeks until you are removed from the group. It sounds harsher than it is, and of course, once you pay your dues, you will be re-approved to the Facebook group. So...pay your dues...we like having you around! 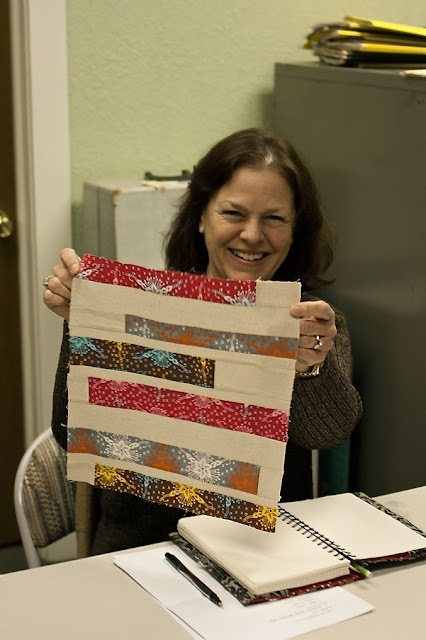 After MUCH research and discussion, our next Quilt Show will be October 2014, at the Edmond Arts Institute. 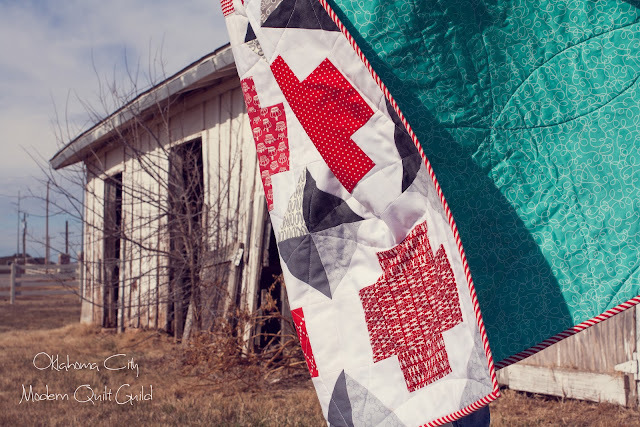 There's a lot of excitement about this location, and I'll be the first to say that 2014 seems a long, long way away...but, that just gives us more time to make epic quilts. Sew Day for guild members is February 2nd. Please see the EVENTS tab on the Facebook page for time, location and to R.S.V.P. This is the swap that will take place at QuiltCon, but you don't have to be attending QuiltCon to participate in the swap. Please click on the Swaps & Challenges button on the top menu for all the details. This is a great way to diversify your stash! 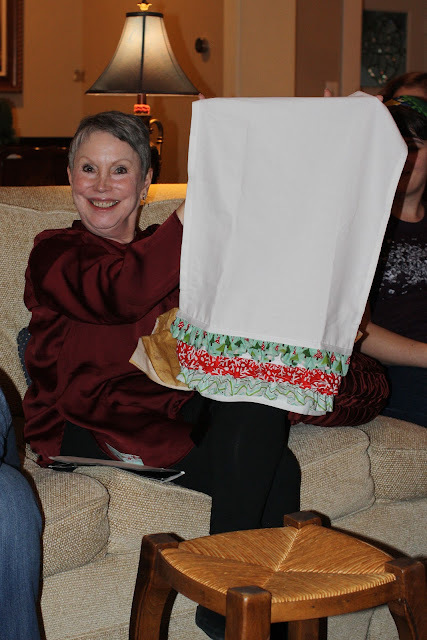 Each participant will purchase 3 yards of the same solid fabric (no blenders) and cut it into 12 fat quarters. For more details about this swap and how to cut fat quarters, please visit Swaps & Challenges on the top menu. There are still a few spots, so email us (or Jemellia directly) to sign-up! Make a mini quilt with the fat eight bundle of Madrona Road that we provide (thanks to Michael Miller Fabrics!). You may add more Madrona Road prints, and/or you can add solids. No other prints from any other line. 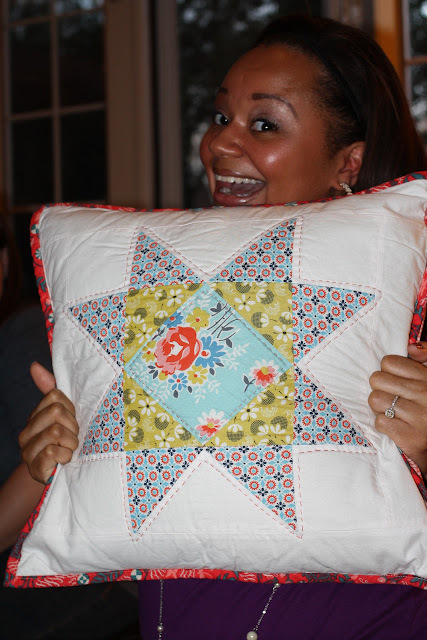 Mini quilts are due at the April meeting. If you sign-up, please produce a mini-quilt! They are yours to keep, but we will need to take pictures and send them to The Modern Quilt Guild and Michael Miller Fabrics. 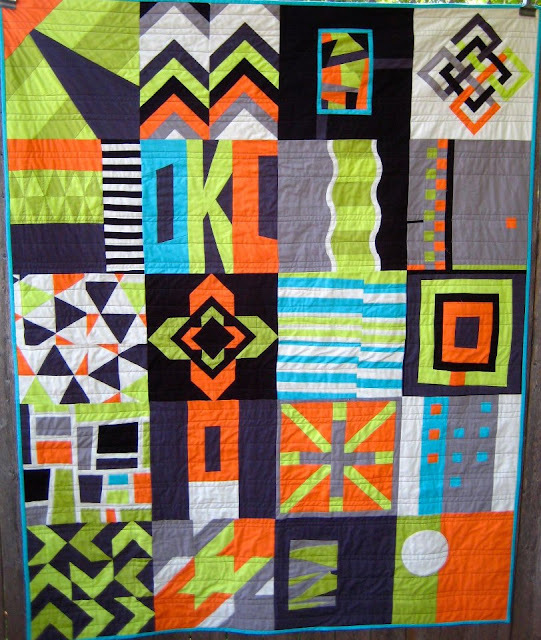 In a quilt show, a mini quilt's longest side does not exceed 24 inches, so feel free to adhere to that standard. 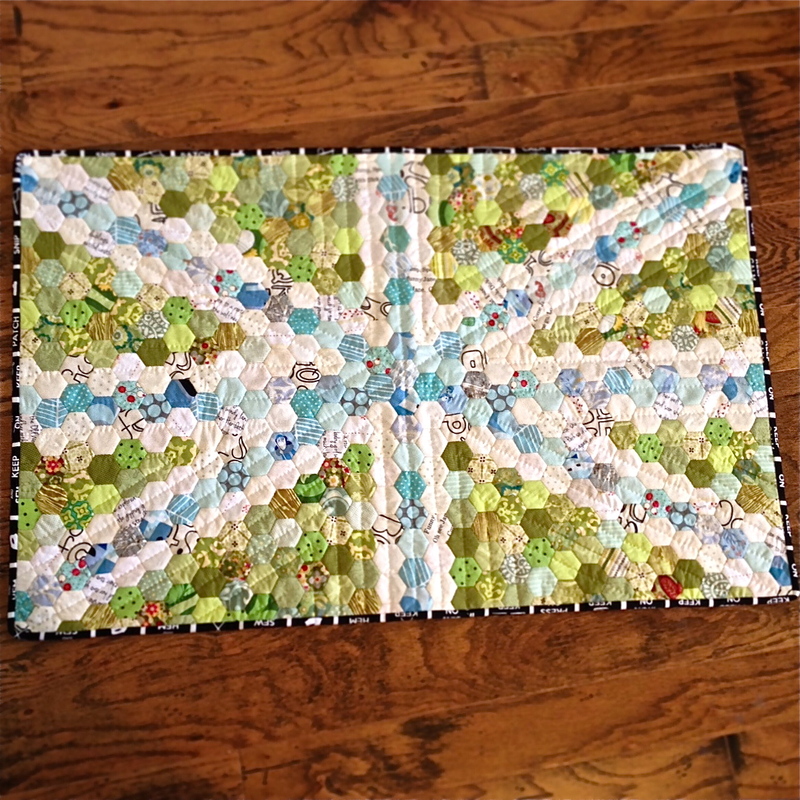 You are welcome to post your completed quilt in the MQG Madrona Road Challenge Flickr group and on our Flickr page. Mary's amazing quilting of negative space. Jemellia's birthday skirt for her daughter. 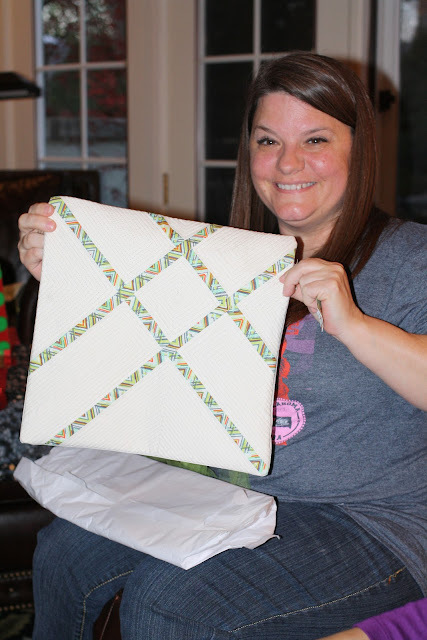 Elizabeth's version of our January Block-of-the-Month. A cupcake bag and table protector for Shana to do her nails on. Emily's tote bag for her yoga mat. A gazillion hand-sewn hexies by Stephanie. 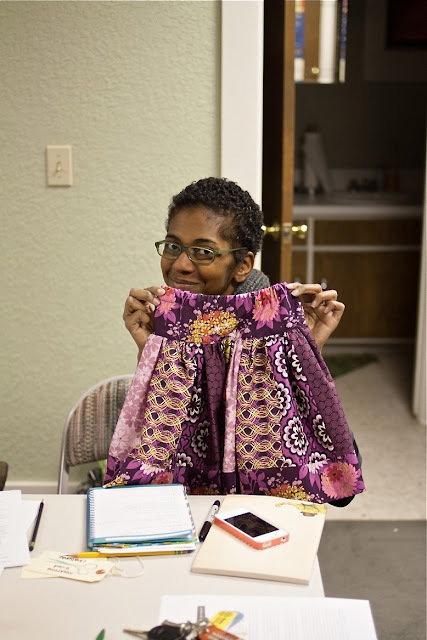 Kristine was gathering a ruffle to sew on this skirt during the meeting. Andrea's Haiti quilt that holds personal meaning and will be donated to her church. Whew, I'm exhausted. Good job ladies! Congratulations to us! The group quilt we made and submitted for the QuiltCon Quilt Show was accepted! 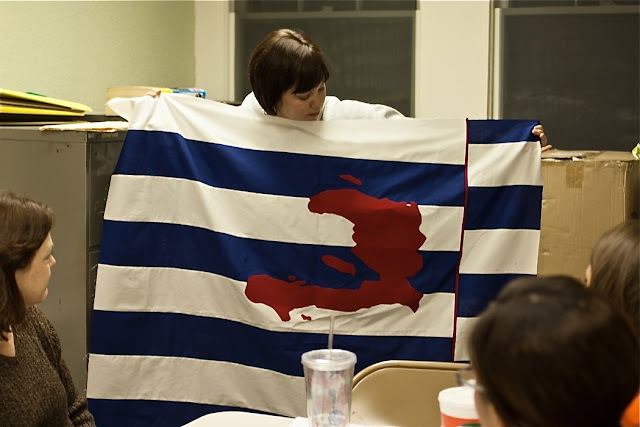 We'll see this quilt hanging in Austin, Texas in February! We couldn't be more excited! And I'm not sure I could use any more exclamation marks than I already have! We were each given the fabric we were to use for our 12" (finished) block. The brilliance came into play when we were NOT given the same exact fabrics. 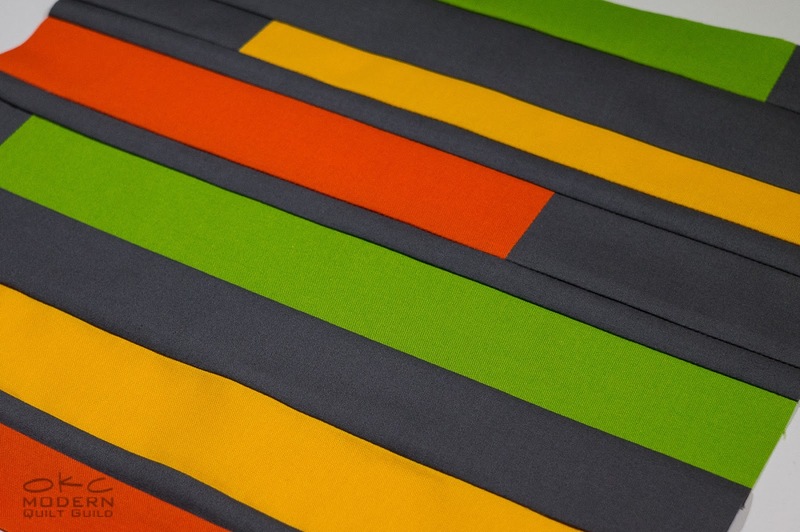 For instance, I only received green, gray, orange and off-white. Others received aqua, charcoal, green and orange...or other variations. 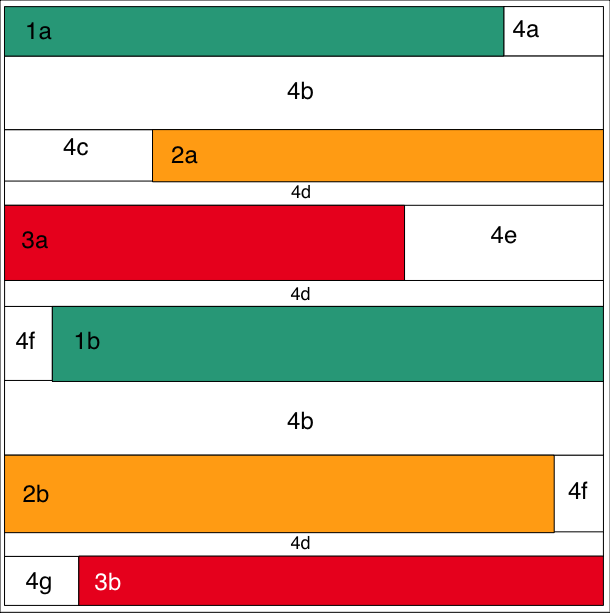 This great idea facilitated a scattering of colors and blocks that "coordinate" with out seeming "match-matchy". And I love the use of subtlety by those who received two shades of green! All those seemingly odd shapes on the back are actually the initials of all the participants using Tula Pink's Modern Alphabet. 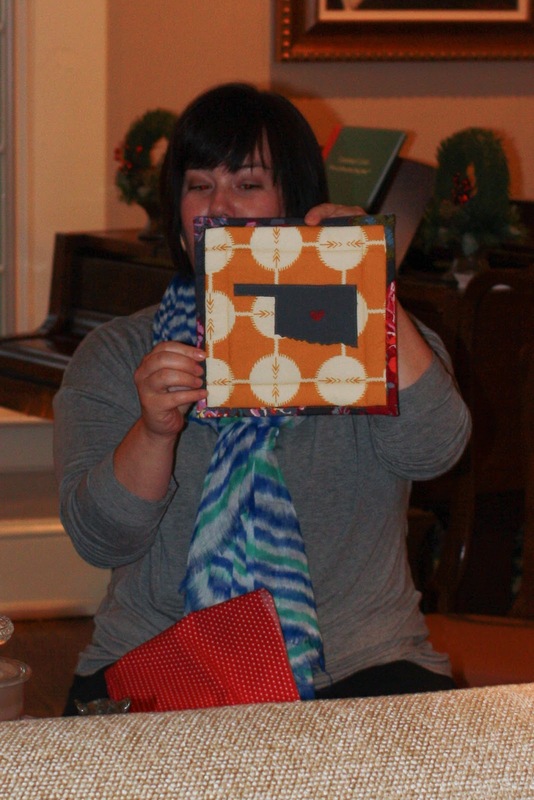 HUGE THANKS to Jemellia Hilfiger for sewing the blocks together, piecing the back, quilting it AND putting on the binding; and to all those who participated! 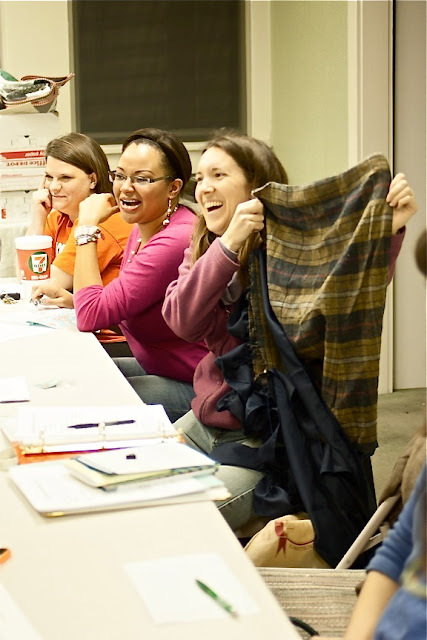 And we couldn't forget a BIG THANKS to one of our local quilt shops, Oklahoma Quiltworks, for giving us a discount on the fabric and to Michael Miller Fabrics for providing all our participants with a Michael Miller Cotton Couture Color Card. It's divine. In lieu of a December meeting, we opted to have a little Christmas party to just kick back and enjoy each other's company in a non-meeting setting. Elizabeth was wonderful and hosted us at her gorgeous new home...seriously stunning! :) Thanks, Elizabeth!!! We had a potluck meal and of course GIFTS! Everyone was invited to bring a handmade gift for swapping. 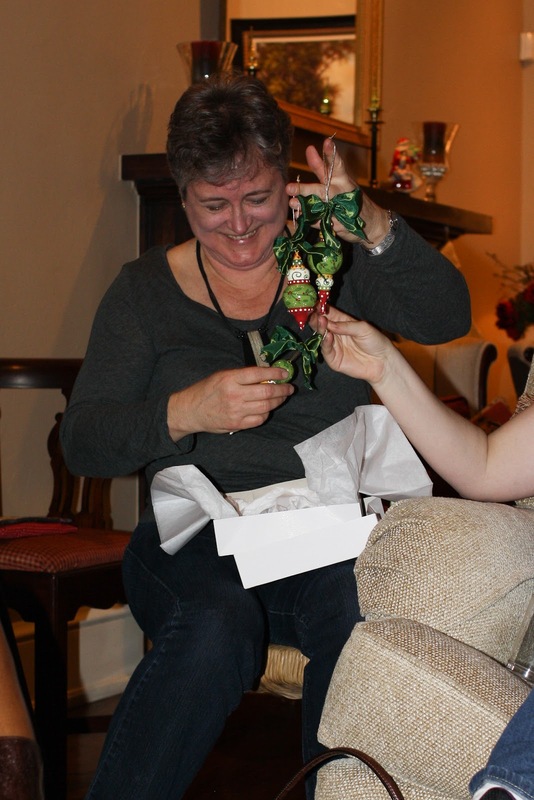 It was amazing how the gifts worked out and matched up with people perfectly despite being drawn at random! I'm just going to let the smiling faces speak for this post. 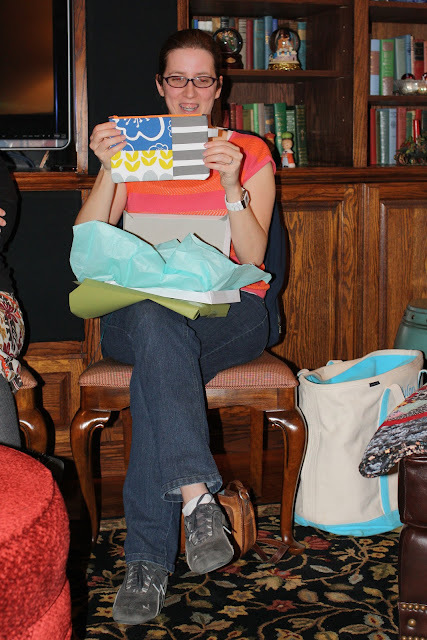 It's been a great year in the OKCMQG and it was so fun to celebrate with dear friends. 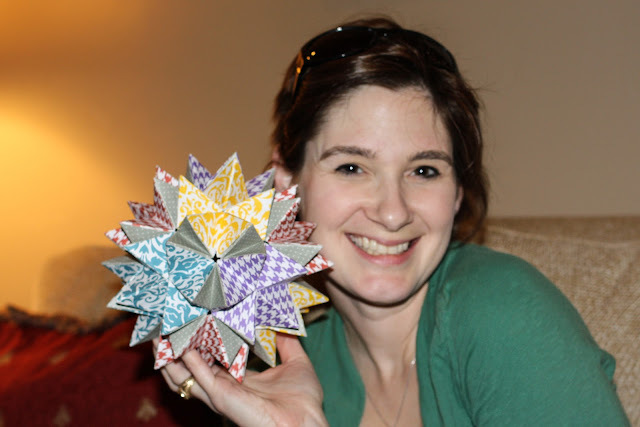 "OG" Amanda received some fun origami from "Other" Amanda. 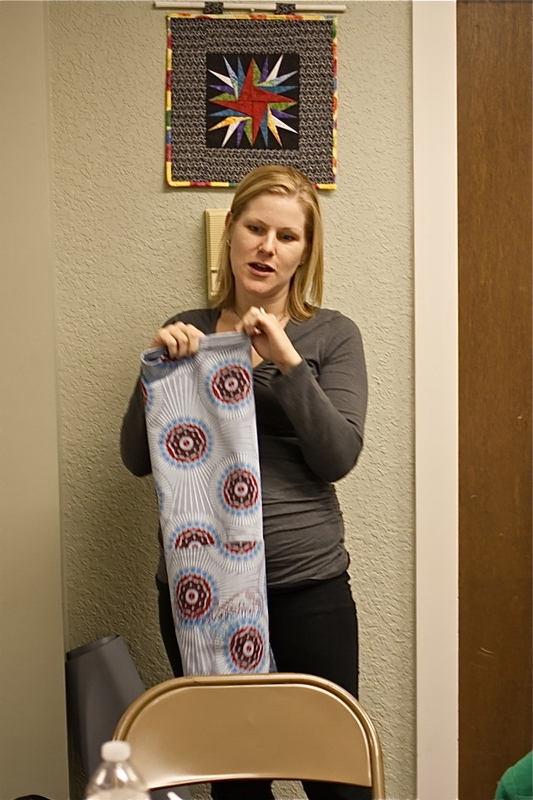 Andrea received this Oklahoma hot pad from Angela. "Other" Amanda ;) received this cute zipper bag from Jemellia. 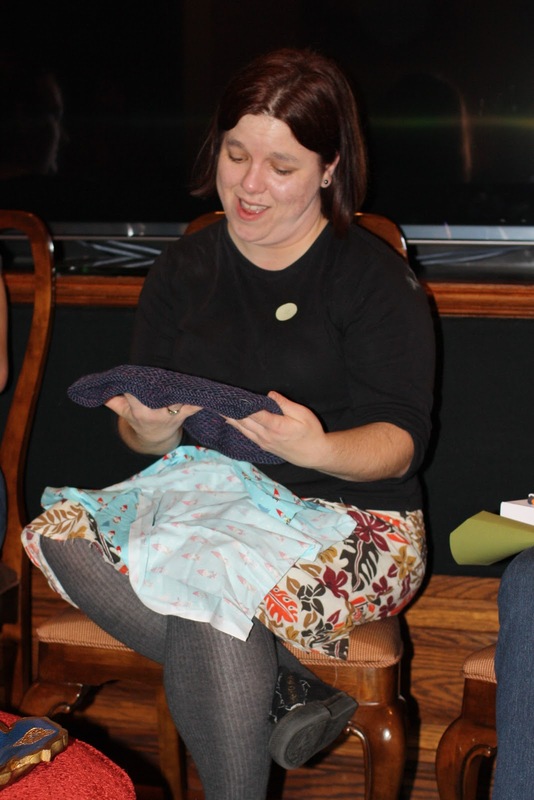 Cornelia received this knitted Honey Cowl from "OG" Amanda. Angelina received this wine tote. 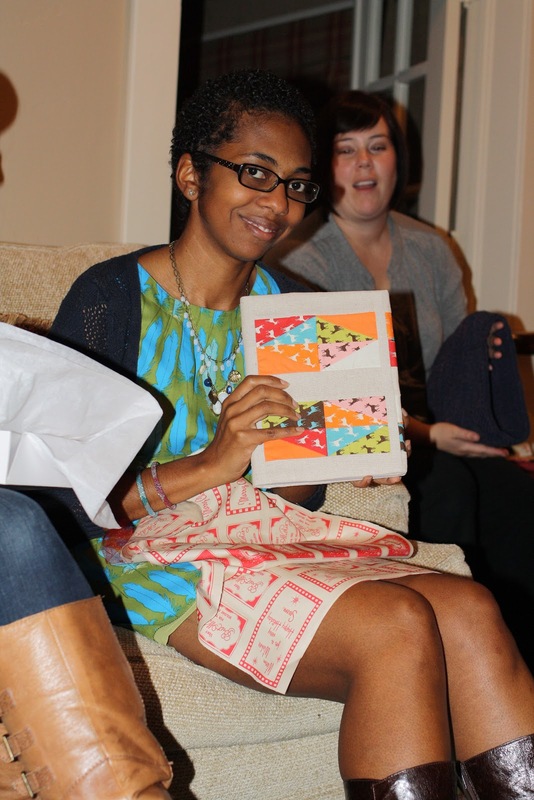 Elizabeth received a journal complete with darling cover. 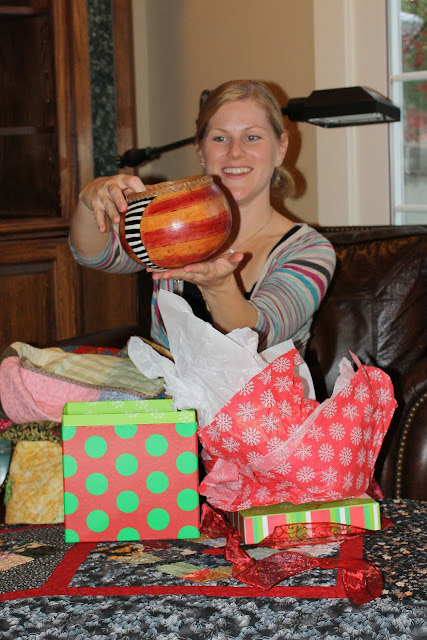 Emily received this folk modern gourd vase from Agnes. Jemellia received a journal with darling cover as well. Leslie received a cute needle book and homemade vanilla extract from Stephanie. Yum. Melissa got a sweet modern pillowcase from Andrea. 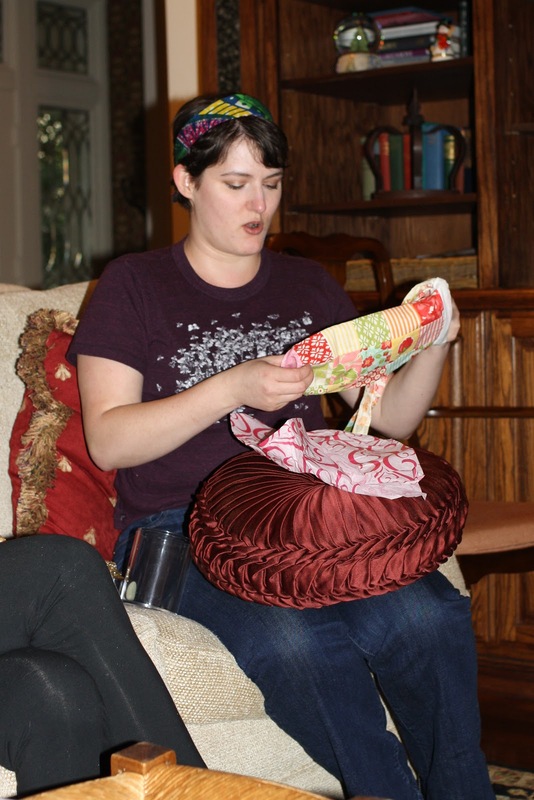 Shana received a super cute pillow as well. 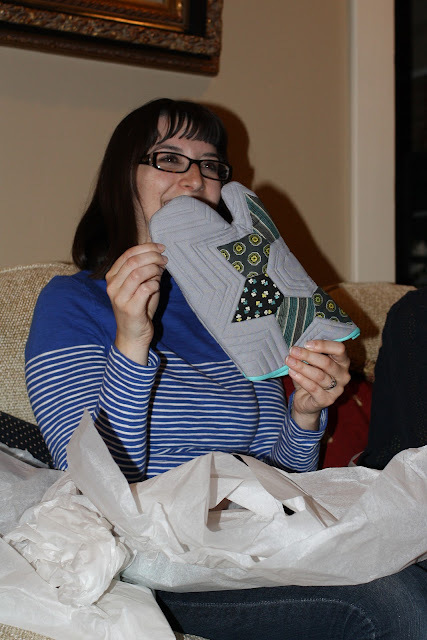 Stephanie got a lovely modern set of oven mitts. 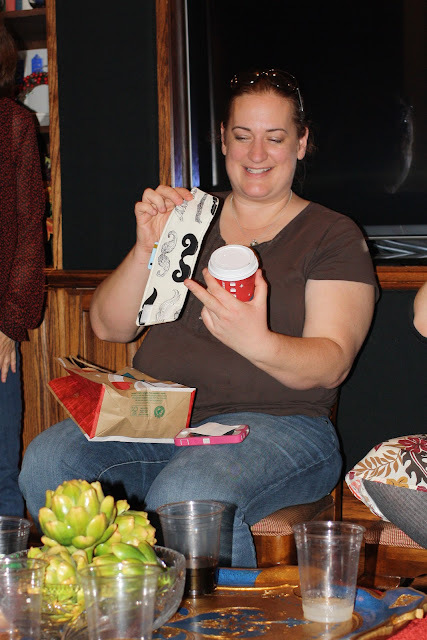 Suzanne received a coffee cup sleeve complete with gift card. Agnes received stunning hand painted ornaments from Leslie. 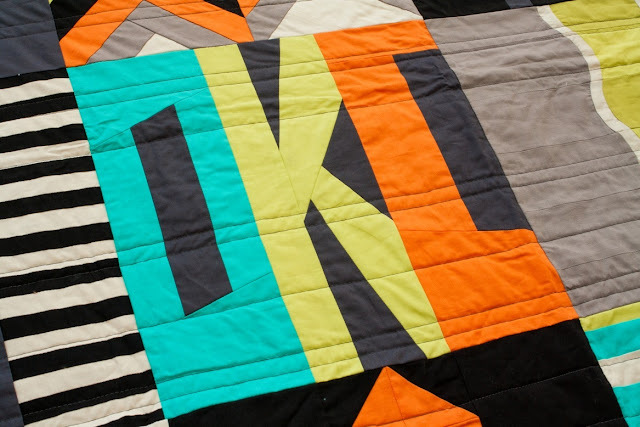 We're excited to share our 2013 Block-of-the-Month Quilt Along! Each month one of our guild members will prepare a modern block to share. If you're a member, we'll be presenting each block at our monthly meetings as well. If you are not a member, first off, please join us! If you're out of our area, simply find each BOM here, on our blog. I'm in charge of January's block. When I was creating the BOM Button (grab one for your blog!) I was completely inspired by this block. It's fabulous. After I reworked it to fit with our lettering, I thought, "Why not make that our first block?" So, that's how this block came about. Don't let all these labeled pieces fool you, it's a breeze to cut out. And you don't need much fabric. Just a few strips will do you! I found it easiest to cut a strip the width of my fabric (WOF) and trim from there. Yes, it'll give you some waste, but I wanted ease and I can always use the scraps for something else. If you already have scraps, just cut each piece individually. Then trim (1a) so that it is 10.5" x 1.5"
Then trim (2a) so that it is 9.5" x 1.5"
Then trim (3b) so that it is 11" x 1.5"
1a: Cut one at 10.5" x 1.5"
1b: Cut one at 11.5" x 2"
2a: Cut one at 9.5" x 1.5"
2b: Cut one at 11.5" x 2"
3a: Cut one at 8.5" x 2"
3b: Cut one at 11" x 1.5"
4a: Cut one at 2.5" x 1.5"
4b: Cut two at 12.5" x 2"
4c: Cut one at 3.5" x 1.5"
4d: Cut three at 12.5" x 1"
4e: Cut one at 4.5" x 2"
4f: Cut two at 1.5" x 2"
4g: Cut one at 2" x 1.5"
Using the diagram as a guide, simply match up the pieces to be sewn end-to-end. Press seams to the dark side or open, depending on preference. Next, layout the block on your worktable. I find it helps to keep all my pieces in order and I can get a quick look at how the block it going together and make sure I sewed the correct pieces together. Then, simply sew each row together. Because some of the rows are very narrow, I pressed all my seams the same direction. After, sewing and pressing, trim as necessary. There you have it! First block done. Don't forget to add your block to our Flickr group. Join us next month for February's BOM! Our group quilt was accepted by QuiltCon! Details of who did what block and how this project was organized coming just as soon as we can pull ourselves back together now that the holidays are over.